If you love solving those newspaper Sudoku puzzles, then you would also love playing the fast-paced version of the game online at SpeedSudoku. SpeedSudoku is a site dedicated to Sudoku fans where they can play Sudoku against others online. 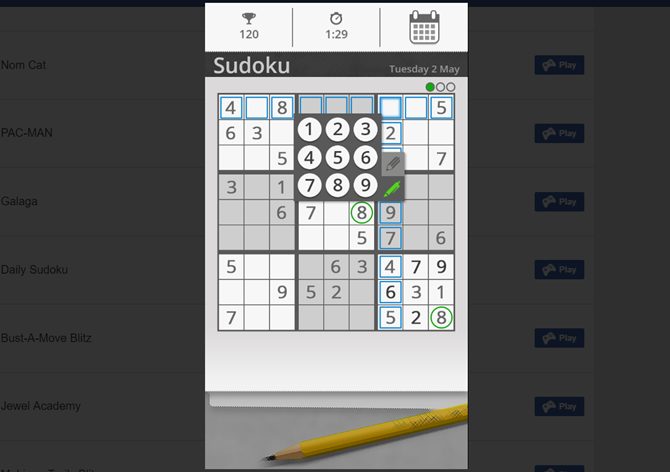 Although Sudoku is usually played solo, this is a pretty interesting concept where players can interact with other Sudoku fans around the world, participate in the forums, and shop for cool Sudoku goodies. To start, you’ll need to register for an account in order to play. Unfortunately, you’re not allowed to play as a guest. You’ll also need to use a valid email address to confirm your registration, which will also sign you up to their newsletter. If you don’t want to use your actual email address, try one of these temporary or disposable email addresses Need a Disposable Email Address? Try These Great Services Need a Disposable Email Address? Try These Great Services Need to send or receive an email without using your real address? Here are some great services that let you do just that. Read More . Once you’re registered and your account is activated, you’ll be invited to join one of the many multiplayer Sudoku games available. Depending on the difficulty of the puzzle, the number of players allowed varies. The required number of players will need to fill the game before it can start, so you could be waiting a while for others to join the game. You can also create your own multiplayer game and set your desired difficulty level (easy, medium, hard, very hard) and the how many players you wish to play with (between 2 to 8). You may even choose to protect your game with a password, only allowing friends to join. Alternatively, you can always play on your own with a practice game. Unlike newer Sudoku puzzles, SpeedSudoku doesn’t provide the option of entering guesses in the top corners of every square. Finally, SpeedSudoku also shares some essential information about the game like different scanning techniques that will help you win the game. Beginner players will definitely find their educational material very useful. Overall, SpeedSudoku is a great place to play Sudoku with friends. The signup process is a bit of a drawback and the number of available games and players can sometimes be underwhelming.